The Stavig Letters, written in Norwegian and translated into English by Bruce and Marta Boyce, are an extensive collection of letters between two brothers, Lars Stavig who immigrated to America and his brother Knut who stayed in Norway. Consisting of more than 150 letters spanning more than five decades from 1881 to 1938, the Stavig Letters give voice and reality to the immigrant experience from the perspectives of both countries. 'The Stavig Letters: The Story of a Norwegian Immigrant' is a dramatic performance of the letters selected, edited and Dramatized by Dr. Wayne S. Knutson, Professor Emeritus at the University of South Dakota. The cast of three includes a narrator and the two half-brothers, Lars Stavig, who comes to the prairie, and Knut Stavik, who remains in Norway. Using direct excerpts from the letters and basic theater props, the play lasts approximately 70 minutes and can be performed anywhere. 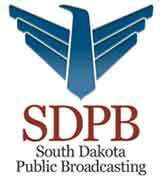 'The Stavig Letters' is a program of the South Dakota Humanities Speakers Bureau. This one-hour program takes the Readers Theater Production in a new direction. It uses footage shot in Norway, Northeast South Dakota, and the coast of Maine. This footage, combined with historic photographs and actor's voices, breathes new life into the immigrant experience in America. While the program focuses on the families and descendents of Lars Stavig in America, and his half-brother Knut Stavik, In Norway, it is a universal immigrant's story. This program was made possible by the South Dakota Humanities Council, an affiliate of the National Endowment for the Humanities.